What do I need this software to do? Make a list of your business wants and needs for your club management software such as, membership management, custom reporting, marketing automation, equipment checkout and inventory management, payment processing, or spa schedule management. Be sure to consider how this change may affect different areas of your organization. 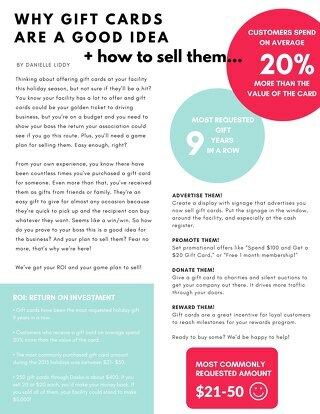 It is also important to consider where you see your business growing in the next five years. Will the software you choose grow with you, or will you experience growing pains? Am I looking for an all-in-one solution, or do I want several vendors to serve various business functions? Your staff will ultimately be the end users of your club management system, so it is important to bring them into the purchase process, ensuring staff efficiency is not hindered by the selection. This is a great time to review current processes and determine if they are scalable for future growth or if they need to be refined during implementation. So often customer support is overlooked until a critical issue arises. It is important to understand how your new vendor provides customer support. Will you be billed based on a pre-determined number of support hours or is support included in your partnership? How hard is it to implement this solution? It is key to understand what the implementation process looks like. You want to be sure to ask about onboarding, projected timelines, data conversion processes and training. As mentioned above, reviewing processes for efficiency and scalability is important during the evaluation phase. Something to consider when evaluating your next software provider is whether they offer knowledge share or best practices throughout implementation to set you up for success from the start. 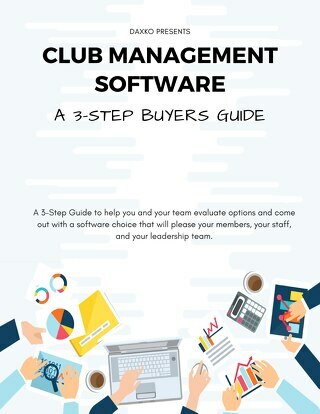 We know choosing the right club management software for your club is an important decision. We hope this short list of questions will help take the stress out of the evaluation process and help you find the best solution for your organization. Download our editable Club Management Solution Blueprint in the grey box as a quick guide to help keep track of vendor responses during the evaluation process.